LMU is hosting a 3-day international workshop on the Genomics of Invertebrates next week. The meeting begins on Sunday March 22nd. 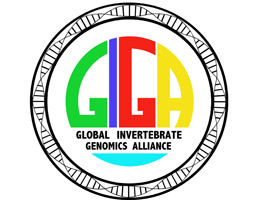 From March 22-24, LMU plays host to the Second International Workshop organized by the Global Invertebrate Genomics Alliance (GIGA). The primary objective of the GIGA Consortium is to sequence and understand the evolution and function of invertebrate genomes. Although invertebrates account for over 95% of all extant animal species, very few invertebrate genomes have been sequenced so far. The researchers involved in the GIGA Consortium have now set themselves an ambitious goal: They plan to sequence the genomes of a representative sample of invertebrates, made up of as many as 7000 species. Researchers from 23 countries have registered for the Workshop in Munich. The attendees will present their latest results and discuss ways of meeting the challenges presented by the project and exploiting the opportunities it promises to open up. “The significance and application of innovative methods in genomics and bioinformatics will be one of the major themes of the conference,” says the organizer of the Workshop, Professor Gert Wörheide of LMU’s Department of Earth and Environmental Sciences, who also heads the GeoBio-Center. Invertebrates play an indispensable role in the function of virtually all Earth’s ecosystems. The group includes pathogenic species that pose a threat to human health, but also to the well-being of many other animals and plants, and can therefore cause very significant ecological and economic damage. Other invertebrate species are beneficial to mankind, as they produce a wide variety of bioactive compounds that are of considerable biomedical interest and utility. A deeper understanding of invertebrate genomes will greatly stimulate the search for novel therapeutic agents and advance our knowledge of the myriad interactions in which invertebrates in diverse ecosystems are involved. The GIGA Consortium’s plans envisage the sequencing of the genomes of a broad spectrum of species and genera – including taxa such as sponges, molluscs and various “worm” phyla. However, particular attention will be paid to marine invertebrates on account of their enormous diversity and ecological importance. New bioinformatic methods and standards also need to be developed in the area of comparative genomics, and participants at the Workshop also intend to design a general framework that will facilitate the implementation of this aim.